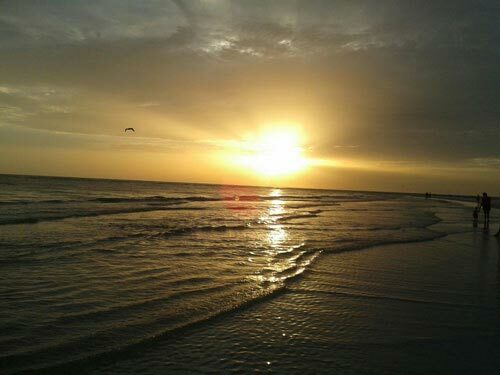 Even when you become a resident of Siesta Key, these sunsets will never cease to amaze you. Siesta Key is an eight-mile long barrier island just southwest of downtown Sarasota, Florida. Sarasota Bay and the Intracoastal Waterway border Siesta Key to the East and the Gulf of Mexico lines the beaches of the western shore of this island utopia. Most popular for its beaches, which consistently rank in the “Top 10” for best beaches in America, Siesta Key Beach claimed the top spot in 2011, as it was voted “#1 Beach in America” by Dr. Beach. Known for its lavishing waterfront homes and condos, Siesta Key combines the luxury amenities with a relaxed, beach town lifestyle that appeals to locals, seasonal residents, and vacationers. The laid back aura that engulfs the island is unmatched by any other island in Southwest Florida. Residents of condo communities can enjoy spending their days at the pool, riding a bike along Midnight Pass, sinking their feet into the powdery sand at Siesta Key Beach, dining or shopping in Siesta Key Village, or having an adventurous day on the water. 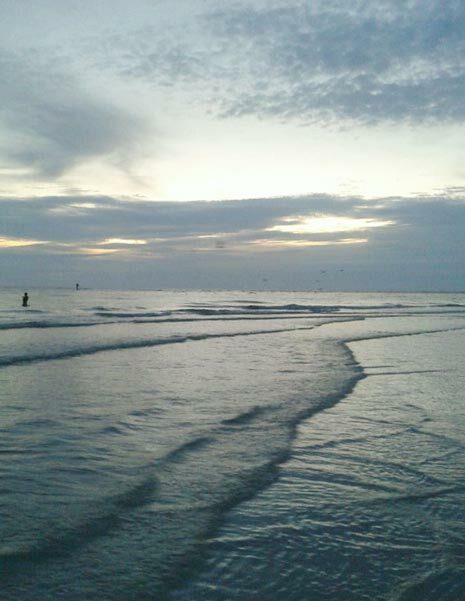 No matter what type of activity you’re looking for, you will be sure to find it in Siesta Key. The #1 Beach in 2011, Siesta Key is known for its crystal-like, powdery, soft sands. The #1 Beach ranking in America is not an easy feat to achieve, but Siesta Key did it in 2011. The annual “Dr. Beach Rankings” are determined by Dr. Stephen Leatherman, who is a Professor and Director of the Laboratory for Coastal Research at Florida International University. 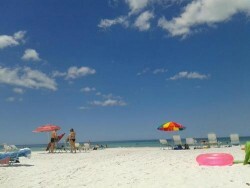 Locals refer to the pristine sands of Siesta Key as “sugar sand,” due to its magnificent white color. Combining the beautiful color to the powder like texture of the sand and you will fall in love the minute you step foot onto this beach. You won’t find sand like this on any other beach in Florida! The inviting, clear water of the Gulf of Mexico entice beachgoers to immerse themselves after laying out in the Florida sun. A generally calm surf allows kayaking, jet skiing, parasailing, paddle boarding, and boating year round. Relaxing on a beach has never been so… well, relaxing. Let the Gulf breeze cool you off as you soak up rays, enjoy the sights and sounds as you rest under your umbrella or cabana, or dive into the tropical waters of the Gulf to splash around and have some fun. Siesta Key’s dining and nightlife go hand in hand. Whether you are at the south end of the island at Turtle’s, near the Stickney Point Bridge at Captain Curt’s enjoying a bowl of their award winning New England style clam chowder, or making your way to the Village to visit any of numerous venues, you will find what you’re looking for in Siesta Key. The “center of it all” is Siesta Key Village at the north end of the island. Beach Road, which runs into Midnight Pass, plays home to many popular local restaurants and bars. Whether you want to have a delicious breakfast at the Broken Egg, enjoy the tasty Baja Grill food at The Hub, enjoy oysters at Siesta Key Oyster Bar, take advantage of Daiquiri Deck’s 2-for-1 daiquiris at happy hour, grab a beer and play pool at Gilligan’s, dance your night away at the Beach Club, enjoy a wine tasting at Siesta Key Tropical Wines, cool off with an ice cream cone at Big Olaf Creamery, or simply satisfy your sweet tooth at Heavenly Cupcakes, you will find it all in Siesta Key. Most of the restaurants in Siesta Key feature live music several nights a week, so you won’t have to travel far to hear some of your favorite songs being performed by talented, local artists. And don’t worry about driving or parking. Siesta Key Village is within walking distance of many of the condos on the island. However, for those who live a bit farther away or would prefer wheels instead, there are local transportation services that operate for FREE—just be sure to tip. You call from your condo and they will pick you up to take you anywhere you want to go on the island. 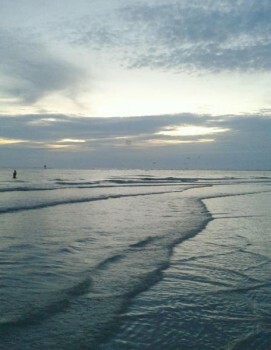 With something to do day or night, Siesta Key is a little slice of paradise in Southwest Florida. Take a stroll along the beach and find washed up sea shells and other spectacular marine life on the shores of Siesta Key. Relaxing is great, but everyone could use some adventure now and then. In Siesta Key, you will have the luxury to do it all. Whether you want to rent a specially designed beach bicycle to ride along the sand and surf, kayak around the mangrove islands in the Bay searching for manatees, take your boat offshore and fish or just watch for dolphins, get a bird’s eye view of the island by parasailing, paddle board around the beaches of the Gulf of Mexico, scour the tidal pools looking for marine life, or just want to jump in the water and swim, Siesta Key is the place for you. Adventure will never get old for those who call Siesta Key home. Spend your days how YOU want when you’re a resident in Siesta Key. A fair amount of the condo communities offer beach access, community pools, beautiful landscaped grounds, and some even offer water access. Live in style and comfort in one of the most beautiful places, not just in Florida, but in the entire world! For more information about real estate in Siesta Key, please contact Suncoasteam Realty 941-235-7474 or sales@suncoasteam.com.